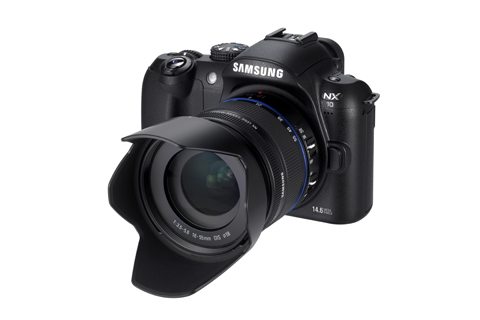 Photographers will be kept waiting as Samsung puts back the launch of its NX10 interchangeable lens digital compact camera until March, Amateur Photographer has learned. The mirrorless NX10, which carries an APS-C size CMOS imaging sensor, had originally been due to go on sale in mid-January. The 14.6-million-pixel NX10 will cost £599.99 in a kit that includes an 18-55mm lens. The sensor on the NX10, Samung’s first hybrid camera, is the same as that featured on the company’s GX-20 DSLR. We understand that the NX10 will not be available body-only in the UK. Last month Samsung made clear to AP that the NX-mount model is the first in a series of such cameras and hinted at plans to launch a higher-spec version in future. The firm did not rule out a ‘touch screen’ version at some future date. Meanwhile, Samsung Digital Imaging yesterday said that it does not plan to buy Pentax, one of the most famous brands in photography. Park sang-jin, the firm’s president and CEO, told the Korea Times that Samsung will ‘maintain its current links with its Japanese partner [Pentax]’.